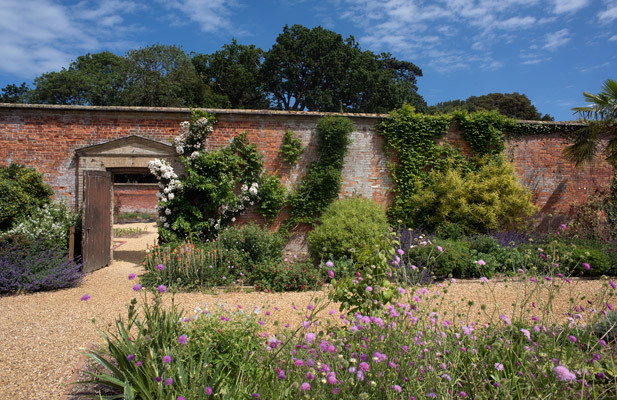 One of the most attractive and interesting areas of the park is the Walled Garden. It is a pleasure to walk through it admiring the precision of the bedding layouts in both spring and summer. The garden, being in close proximity to the site of the Mansion House, was originally used as a vegetable garden. After the First World War, the area was redesigned to become a flower garden. It was converted back to a vegetable garden during the Second World War under the “Dig For Victory” campaign. Shortly after the war it was converted back to a flower garden.